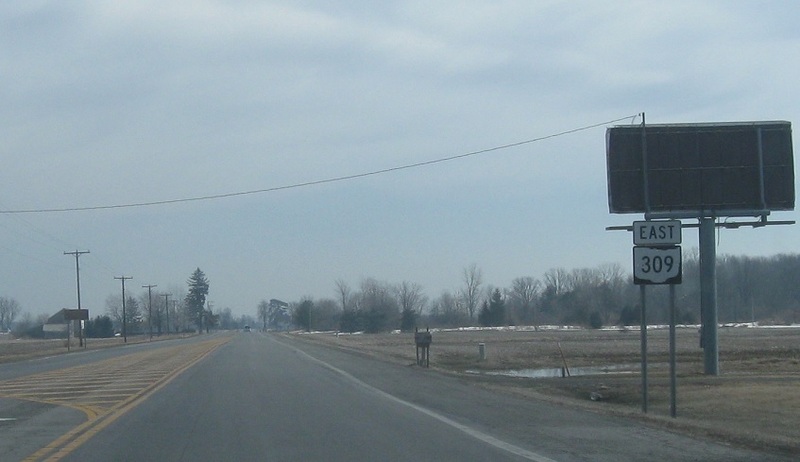 Reassurance shield after the 235 split. 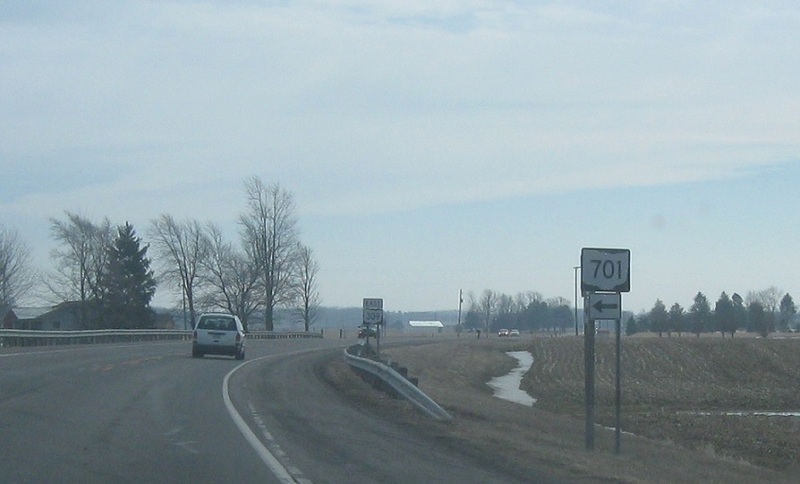 A mile and a half later, we’ll approach SR 701. 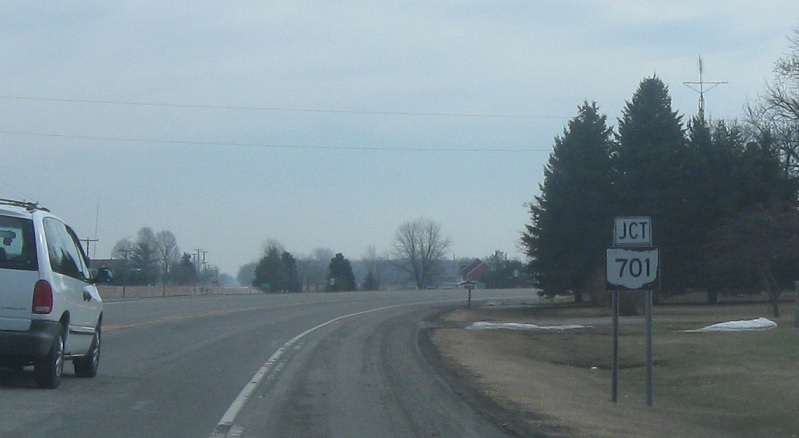 Turn left for 701 east, a quick connector to US-68 in the middle of nowhere.